Christine Lagarde (born 1 January 1956) is the Minister of Economic Affairs, Industry and Employment of France, appointed in June 2007. She was previously Minister of Agriculture and Fishing and Minister of Trade in the government of Dominique de Villepin. 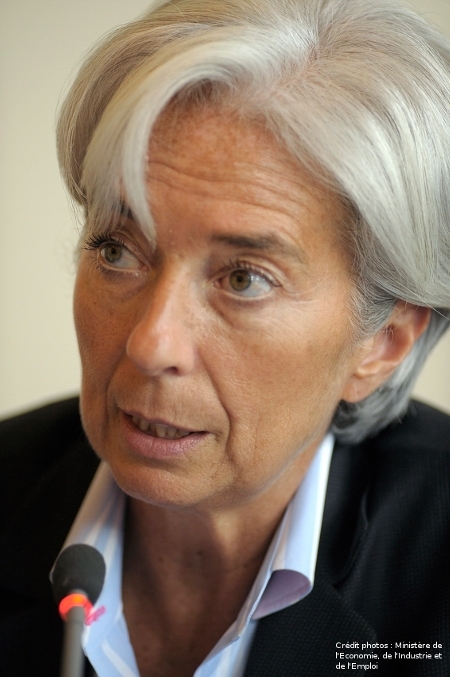 Lagarde is the first woman ever to become minister of Economic Affairs of a G8 economy. In 2008, she was ranked the 14th most powerful woman in the world by Forbes Magazine. An antitrust and labour lawyer, Lagarde made history as the first female chairman of the international law firm Baker & McKenzie. She has been awarded France's highest honor, the L�gion d'honneur.